Valentine's Day Beauty Essentials, Plus $1,000 PayPal Cash Giveaway!!! I love dressing up for special occasions, something about the excitement and anticipation for a fun evening. So today, I'm sharing my favorite beauty products for a fab Valentine's Day - whether its with your boyfriend, husband, group of gals, parents, whatever - it sure is fun to get dressed up and spend time with those you love. 1.) Lancome Color Design Sensational Effects Eye Shadow - I love their silver/glittery color called Drape, it creates a very dramatic eye without looking too over done. And a little glitter just makes the night extra special, right? 2.) Essie Nail Polish - It'st just not Valentine's Day without red nails. I love the Essie brand, they have so many amazing colors that last forever! This red is called Long Stem Roses. 3.) Mary Kay Lash Love Mascara - I'm a huge Mary Kay fan, they have so many great skin care and make up products and this mascara is no exception. I use it on a daily basis, but figured I would keep it in my Valentine's Day list too since gorgeous eyelashes are a must. 4.) Philosophy Shower Gel - Come on, you definitely need to use something titled "Falling in Love" on Valentine's Day. Plus, Philosophy has some of the best smelling products around. 5.) Clinique High Impact Lip Colour - I don't wear red lipstick all the time, but Valentine's Day is certainly the time to do it. Clinique has a great color called "Red-y To Wear" and this lipstick goes on very smooth. 6.) Chanel Chance Perfume - No joke, this is some of the best smelling perfume around. I once caught a fantastic whiff on a woman when I was out and about and I tracked her down to find out what glorious scent she was wearing. It was this - get some for yourself. Do you have any favorite beauty products that you like to use on a special occasion like Valentine's Day? Tell me about it in the comments section below. And now for a FANTASTIC treat!!! I have teamed up with a ton of wonderful bloggers to give one VERY LUCKY person $1,000 PayPal cash. That is what I call the best Valentine's Day gift ever. You could seriously buy a ton of chocolate and roses with $1,000. I can't even believe how big this is. If you don't want to win $1,000, I'll just ask you to enter and I'll take the $1,000 off your hands. No big deal, right? But if you want the $1,000 for yourself, then enter as many times as you like using the rafflecopter widget below. Be sure to check out all of the awesome bloggers participating in the giveaway. Maybe you will find a new favorite. And I wish you the best of luck!!! 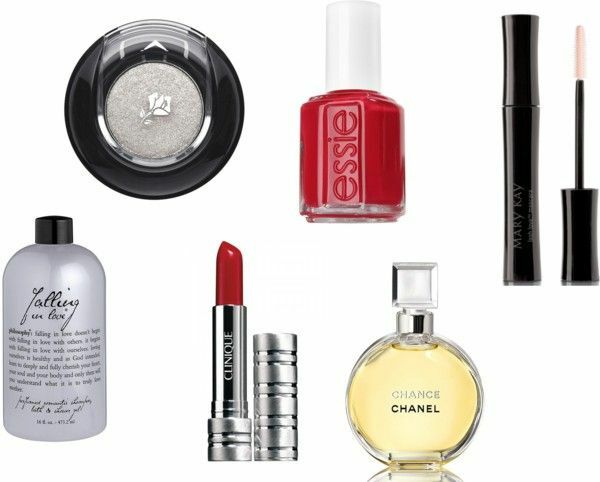 I want everything on this list- especially the Essie polish! You can never have enough red polishes or lipsticks! Those are some FAB beauty finds just in time for V-Day!! Excited for our giveaway!! Amazing Giveaway, Have a great week. http://www.bloglovin.com/grandmasez is my blog lovin page! Do You Shop At ULTA?